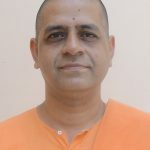 Swami Atmashraddhananda (Pankaj Maharaj) joined the Ramakrishna Monastic Order in 1989 at its Bangalore Centre and received his final Sannyasa vows in 1999. He spent 13 years at Bangalore and Mysore centres of Ramakrishna Math, besides 2 years at Belur Math. 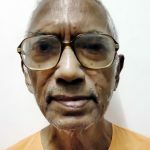 From 2004 to 2016, he was in Chennai Ramakrishna Math where he was the editor of The Vedanta Kesari, a cultural and spiritual monthly for over a century. He has edited, translated and authored a couple of books on some aspects of spiritual life, Indian culture and higher values. For 12 years he was the guide for the Vivekananda Study Circle at IIT Madras where he used to conduct a Sunday class for the Study Circle. 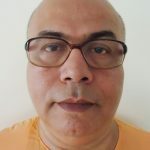 For about two years, he was one of the monastic guide and instructors at the Monastic Probationers’ Training Centre at Ramakrishna Math, Belur Math, near Kolkata in West Bengal. On October 9, he assumed the office of Secretary of Ramakrishna Mission Ashrama, Kanpur, Uttar Pradesh. 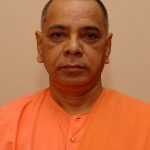 Swami Satyamayananda (Ananda Maharaj) joined the Order at Advaita Ashrama, Kolkata. An initiated disciple of Revered Bhuteshanandaji, he served in various capacities at Advaita Ashrama. He was an Acharya at the Probationers’ Training Centre, Belur Math, before taking up the duties as the editor of the Prabuddha Bharata, a magazine of the Ramakrishna Order, started by Swami Vivekananda. 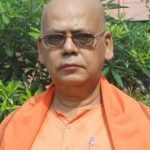 He was appointed as the secretary of Ramakrishna Mission Ashrama, Kanpur in 2014. He is now currently serving as the Assistant Minister at Vedanta Society of Southern California, Hollywood. Swami Sarvabhutananda (Suprabhat Maharaj) joined the Order at Kankurgacchi in 1978. He served Revered Bhuteshanandaji, the 12th President of the Ramakrishna Order, before being appointed the head of Ramakrishna Mission Institute of Culture, Gol Park. 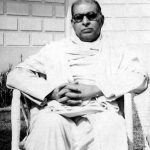 He was the head of the Kanpur centre for a brief period of about one year before taking charge of the Allahabad Ramakrishna Mission. He is currently the head of our Shillong centre. He is also a Trustee of the Ramakrishna Math and a member of the Governing Body of Ramakrishna Mission. Swami Bhaktirupananda (Saroj Maharaj) was initiated by Swami Madhavanandaji Maharaj. 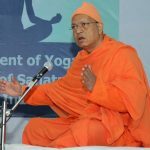 He joined the Order in 1967 at Saradapitha and had Sannyasa from Swami Vireshwaranandaji Maharaj in 1977. Besides his joining centre, he served at Advaita Ashrama (Kolkata), Bhubaneswar, Mumbai, Narottam Nagar and Coimbatore Mission centres as an assistant, Medinipur centre as a school headmaster, Fiji centre as an assistant and, later on, as head, and Kanpur centre as the head. He also participated in flood relief and rehabilitation project at Gunupur (Orissa) in 1981-82 and at Purulia in 1992-93. After relinquishing the headship of Kanpur centre, he toured different places in India. 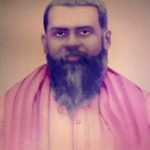 Swami Shrikantananda (Diwakar Maharaj) joined the Ramakrishna Mission in 1982 at Belur Math. He served at Ramakrishna Math, Hyderabad for a long period in various capacities before undertaking the responsibility of the Kanpur Ashrama. He served here briefly for a period of about 8 months after which he took charge of the Ramakrishna Math, Pune, where he is currently at. Swami Kedarananda joined the Ramakrishna Order in 1966 at Ramakrishna Mission, Mumbai. He served at the Mumbai centre in various capacities till 1984. After postings of Narendrapur and Delhi centre, he became the head of the Kanpur in which he capacity he served till 2010. He is now currently at our Narendrapur centre. Swami Bhagavatananda (Shashikant Maharaj) was initiated by Swami Madhavanandaji Maharaj. He joined the Order at Bombay Ashrama in 1962 and had sannyasa from Swami Vireswaranandaji Maharaj in 1972. Besides his joining centre, he served at the Institute of Culture, Calcutta, and Advaita Ashrama (both at Mayavati and Calcutta), and was an Acharya in the Training Centre, Belur Math, for four years, and the Head of Katihar and Kanpur centres for eight and four years respectively. The Swami was affectionate and hard-working, and a good speaker. 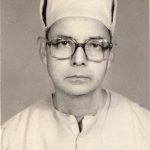 He passed away at Varanasi Home of Service hospital on 18th August 1998. Swami Rudratmanandaji (Badal Maharaj) was initiated by Swami Vishuddhanandaji Maharaj. He joined the Order in 1953 at Saradapitha and had Sannyasa from Swami Madhavanandaji Maharaj in 1963. Besides his joining centre, he served at the Headquarters, Rangoon Sevashrama and Seva Pratishthan as an assistant, and Malda, Baranagar Mission and Kanpur centres as the head. He led a retired life at Varanasi Advaita Ashrama for about two decades. Efficient in his work, the Swami was a forceful speaker in Bengali. He passed away on 3 August at Varanasi Sevashram. An initiated disciple of Revered Swami Akhandanandaji, a direct disciple of Sri Ramakrishna, Swami Akamanandaji joined the Ramakrishna Order in 1941 at Nagpur. After a long time at Nagpur, he served at the Mumbai centre and the Ranchi Morabadi Mission. He was the Secretary of our Ashrama from 1978 to 1986. 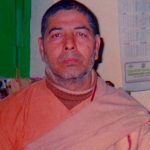 He passed away on 5 June 2018 after leading a retired life at Ramakrishna Mission Sevashrama, Kankhal, Haridwar. Initiated by Swami Shankaranandaji Maharaj, Swami Purananandaji joined the Order in 1951 at Belur Math and had Sannyasa from his Guru in 1961. Besides Belur Math, he served at Patna, Mumbai and Gol Park centres as an assistant, and Kanpur, Mauritius (for a short period), Puri Mission, Cossipore and Barasat centres as the head. He led his last few years at Gol Park centre. The Swami was a good singer and an impressive speaker and was known for his gentlemanly manners. He passed away on 12 Feb 2014 at Seva Pratishthan. An initiated disciple of Srimat Swami Shivanandaji Maharaj, Swami Premarupanandaji (Haripada Maharaj) joined the Order in 1938 at Bhubaneswar. 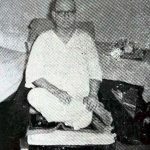 He had his sannyasa from Swami Virajanandaji Maharaj in 1949. Besides his joining Centre, he served at Katihar, Allahabad, Udbodhan, Rangoon and Madras Math. He was the pujari of Sri Ramakrishna temple and other temples at Belur Math between 1947 and 1949. He also participated in Mission’s relief work in Surat (Gujarat). The Swami was head of Kanpur and Shillong centres before taking up one of the Manager’s duties at Belur Math for about two years from 1976 to 1978. Thereafter, he was appointed Head of Jayrambati centre in which capacity he remained till his last. He passed away on 4th August 1991. Swami Vedanandaji (Bholanath Maharaj) was a disciple of Srimat Swami Shivanandaji Maharaj. He joined the Order in 1927 and had his Sannyasa from Srimat Swami Vijnananandaji Maharaj in 1937. He spent nearly thirty years of his monastic life at Deoghar and Mysore. From 1957 to 1961 he was the Secretary of the Chandigarh Ashrama and of the Kanpur centre from 1964. He passed away at Kanpur Ashrama on 18th May 1970 due to cerebral hemorrhage. His body was consigned to the waters of the Holy Ganga. An initiated disciple of Srimat Swami Brahmanandaji Maharaj, Swami Dhiratmanandaji (Dwijen Maharaj) joined the Belur Math in 1922 and had Sannyasa from Srimat Swami Shivanandaji Maharaj in 1929. 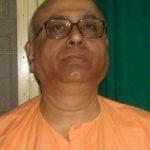 Besides being the head of Mymensing, Jamshedpur, Allahabad and Kanpur centres, he worked in Dhaka and Advaita Ashrama (Mayavati and Calcutta) in different capacities. 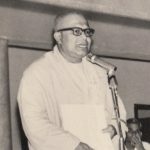 He led a retired life for about a decade at the Varanasi Sevashrama (Home of Service) and passed away on 2nd April 1980. An initiated disciple of Srimat Swami Vijnananandaji Maharaj, Swami Chidatmanandaji (Alopi Maharaj) joined the Order at the Kanpur Ashrama in 1936 and had his Sannyasa in 1948 from Srimat Swami Virajanandaji Maharaj. He was head of Kanpur and Mayavati Advaita Ashrama and also the Editor of the Prabuddha Bharata. 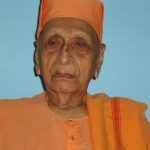 He was appointed a Trustee of the Belur Math and a Member of the Governing Body of the Ramakrishna Mission in 1965 and an Assistant Secretary in 1969, in which post he continued till the last. He passed away at the Seva Pratishthan on 17th June 1975 due to cardio-respiratory failure. A disciple of Srimat Shivanandaji Maharaj, Swami Deveshanandaji (Prabhas Maharaj) had Sannyasa from his Guru in 1925 after joining the Order in 1920. Besides working at Kankhal and Belur Math he served as the head of our Ashramas at Kanpur, Lucknow and Shyamla Tal. He passed away on 13th November 1972 at Seva Pratishthan, Calcutta. Swami Nityanandaji (Nepal Maharaj) was the founder-secretary of the Kanpur Ashrama. Sri Nepaleshwar Bandhopadhyaya, as he was earlier called, joined the freedom movement at a young age. ‘Master Moshai’, as he was popularly known as in Kanpur, he was initiated by Sri Sarada Devi. In 1920, he started ‘Ramakrishna Seva Sadan’, a gathering of youth who discussed and worked out ideas of Swami Vivekananda. This group gradually took firm roots and in 1936, the centenary year of Sri Ramakrishna, the group got a permanent piece of land which was inaugurated by Srimat Swami Vijnananandaji Maharaj. He passed away at Kankhal Sevashrama on 30th May 1943 at the age of 50, due to a sudden stroke of apoplexy.